Today sees the launch of Serato Studio, a simplified DAW that’s designed for beginners and DJs who want to move into music production. We’ve spent a little time with the New Zealand developers’ new software, so here are our first impressions. Serato Studio’s clean, attractive interface bears more than a passing resemblance to the New Zealand developer’s famous DJ software. The GUI is divided up into distinct sections, and just like with Serato DJ, hiding and resizing panes is easy and useful. Up in the top Transport bar is where you set the tempo, key and major or minor scale for the current project, while the metronome and quantise controls also live here. The bottom Library area is where you browse through Projects, Drums, Audio Samples, FX, Instruments and third-party Plugins, before dragging them in to populate a ‘Deck’. Decks are vertically stacked in the rightmost Sequencer area, and notes are laid down here - step sequencing for drums, and a piano roll-style note editor for Instruments and Samples. Unfortunately, it doesn’t seem as though audio loops can be played from the Library area before you load them in. It’d be nice if audio could be auditioned in time with the project as it plays back - or auditioned at all, in fact. Drums, Instruments and Samples can be triggered by your QWERTY keyboard, with a connected MIDI keyboard, or using a compatible Serato DJ controller. Music theory noobs will appreciate the fact that Instrument and Sample playback can be locked to the project’s key and scale - useful indeed - and this can be turned off for chromatic playback if desired. The Serato DJ comparisons continue when it comes to workflow, too. The currently selected Drums, Sample or Instrument Deck populates the top-left area for editing. For the former two, you can adjust the current sample’s amplitude attack and release, reverse it, and change the sample’s tempo and key. As you’d expect, these last two options are powered by Serato’s renowned Pitch and Time algorithm, which sounds predictably impressive when creatively tuning and stretching samples. A Drum Kit comprises eight parts, painted in on a familiar grid sequencer. The bundled kits sound punchy and are suitable for use across multiple electronic styles, and over 300 preset patterns are provided, too. The Sample Deck is essentially a condensed version of Serato’s Sample VST/AU plugin. Up to eight (or more) Cue Points are automatically assigned across a sample, and you can trigger, manipulate and process each cue point separately - ideal for sample junkies and hip-hop heads. The categorised Instruments bundled with Serato Studio range from strings and pianos to pads, synths, basses and more. These sample-based sound generators are fairly simple, but get the job done quickly. Thankfully, you can call up your choice of third-party VST/AU instruments and effects, which exponentially expands the software’s potential. Serato DJ users will also be familiar with the central vertical mixer strips, where you’ll find an input gain knob, a three-band DJ-style EQ, bipolar low- and high-pass filter and level fader. Although these are all handy for quick levelling and tone-shaping, it’s strange that there’s no pan control here - hopefully that’ll be addressed with a future update. Click the top FX button and you’ll pop open the Effects section. Thankfully, you can load up a Stereo Pan effect here for basic stereo positioning, as well as over 30 more one-knob effects processors in the horizontally-stacked slots. These sound decent overall, although it’s a bit odd that most of the reverb and delay effects don’t add much stereo width - they’re all rather mono in nature. Once you’ve created a single Scene (ie, a song section) in the Sequencer, the process of copying, pasting and editing more Scenes is easy: expand the horizontal Song View along the bottom, then drag and reorder these individual Scenes into a left-to-right arrangement (Intro, Verse Chorus, etc). This is basic stuff that’s well designed for beginners, but DAW pros used to stacking multiple tracks vertically will obviously feel a bit restricted. Serato Studio comes bundled with a Core Pack of free content comprising drum kits, audio samples and instruments created by pro sound designers, including the well-respected Goldbaby amongst others. The quality and authenticity of this content, it has to be said, is excellent. 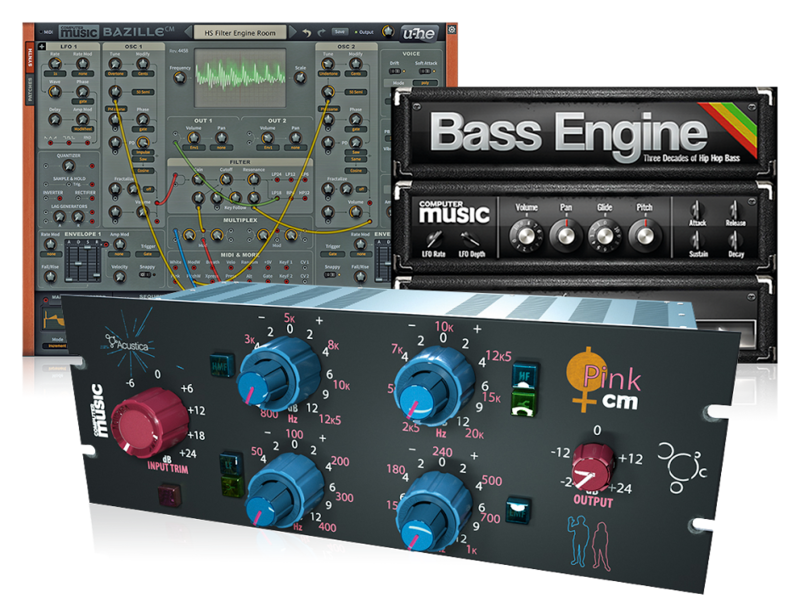 And although the Core Pack feels a little light on the Instrument front, subscribers are able to download and install three additional packs - Trap World, Dusty Crates and Essential Electronic - and lots more content is promised with future updates. Overall, it’s tough to say whether Serato Studio can truly rival other well-established beginner DAWs unless you’re firmly locked in to the Serato ecosystem already. Once you’ve got the hang of Serato Studio’s unique but simplistic approach to beatmaking, laying down multiple parts one after another is a breeze, no matter how you choose to enter notes. The software has obviously been designed with first-timers in mind, which is refreshing in an age of overcomplicated, feature-stuffed DAWs. We found ourselves whizzing around the interface and piecing together new song ideas in no time. Also on the plus side: the great-sounding warping/transposing algorithm makes Serato Studio an awesome remixing sketchpad for chopping and replaying long samples; the slick workflow nicely bridges the gap between DJ software and production tool; and the bundled content impressed us far more than the sounds that ship with so many other products - we can’t wait to hear more. Yet, although limitations are to be expected in a first-generation music creation environment aimed mainly at novices, many of these still frustrated us. More global scales scales besides minor and major would be welcome; the lack of pan in the mixer is an obvious oversight; and most of those one-knob effects are a little too simplistic, in our opinion. Then there’s the pricing strategy. Whether newcomers to music-making will be willing to fork out on a monthly basis remains to be seen, especially when you consider that Apple users get GarageBand for free, and PC users can install and use BandLab’s Cakewalk - an undeniably powerful DAW - for absolutely nothing. However, as a music-making environment aimed at DJs and beginners, there’s something rather charming and refreshing about Serato Studio’s simplicity, speed and ease of use. This is especially true if you’re already a user of Serato software and hardware - and are willing to cough up monthly for the privilege, of course.